Free pick up from bus train station. 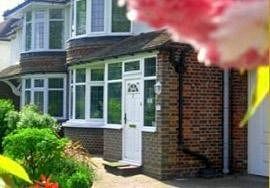 A small Family run bed and breakfast located at the foot of the North Downs in picturesque Penenden Heath. Offering a peaceful base for leisure and sightseeing in the garden of England. All rooms are spacious airy and tastefully decorated each has a beautiful view overlooking the North Downs or our very large garden. All have the comfort of en suite bathrooms one of the double rooms has the extra luxury of a Jacuzzi. We are only a five minute drive from the M20 motorway and about one mile from Maidstone town centre. Ideally located for visiting Leeds castle, Kent county showground European school of osteopathy and many other attractions. In addition to the facilities above we offer Wireless internet access, Electric fans in each room, Radio alarm clock, Hairdryer and personal effects toothbrush toothpaste comb etc, Personal fridge with complimentary drinks and confectionary. Free pick up drop-off to station for full paying guests. Transport to local venues and airport pick up drop off arranged at reasonable rates. Single person: £50.00 for one night, £45.00 more than one night. Pet Facilities: Pets are allowed. Only small pets. Smoking Facilities: Smoking is not allowed. May smoke in back garden. Special Diets Provision: Special diets are catered for. Gluten free, vegetarian. Disabled Facilities: There are disabled facilities. Ground floor rooms no stairs or steps. "We had an absolutely delightful stay here. We booked at short notice and were made to feel almost part of the family. 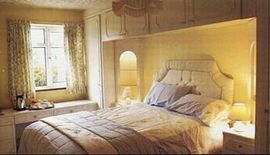 The house was beautiful, all the rooms spotless warm and inviting. Our hostess could not have been more helpful and accommodating. Wish we could stay longer- highly recommended" This one example of numerous comments left on the testimonials page on our website. From London or Dover leave M20 motorway at junction 6. Follow signs to Penenden Heath. 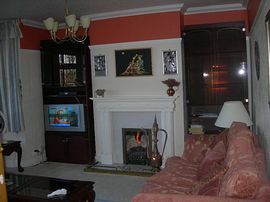 We are situated immediatly opposite the heath.